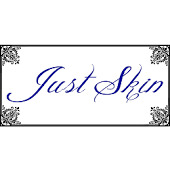 How Can I Go EnviouSkin Day Spa & Boutique? Where is EnviouSkin Day Spa & Boutique in San Diego on the Map? LOVE LOVE LOVE this Spa! I have been coming here for a year and a half and they have always been wonderful! Natasha is amazing! I was so worried about getting a brazilian but she was so great and made me feel at ease. I have also received a relaxing facial and loved it! Natasha helped me find the right skin care products, and helped me a skin care routine that i can do every day! This spa is so clean and cute, i highly recommend it! I've been going to EnviouSkin for almost a year now. First impression, "They're so welcoming!" Lol. They offered me something to drink as soon as I stepped in the door. I've worked with three different Estheticians, last one being Ali. She's awesome! I'm definitely going back to her every time. I was used to getting my brazilian done in 45 minutes (which was a little bit of torture) but I am in and out in 20 minutes & it is such a good job and it is always amazing. I love EnviouSkin, they're just awesome. Natalie is amazing!! I've been seeing her since July 2013. I get Brazilian and eyebrow waxes and I had never gotten a Brazilian before I came to Natalie at EnviouSkin, but I won't trust anyone else now! Natalie is so sweet, thorough, and makes sure to look at the work she's done from the client's perspective to make sure that everything is great before you leave. Be sure to buy the scrubbing glove to exfoliate and the PFB Vanish product to prevent ingrown hairs. She's a perfectionist and I've been complimented on my eyebrows because of her! Love EnviouSkin :) Thank you!! Always a good experience when I come here. Everyone who works there is always friendly, but my go to person is Erica and she is GREAT! She even helped me pick out a sunscreen for myself since I'm allergic to most sunscreens, she recommend a couple and gave me samples to try and now I can finally wear sunscreen! This Day Spa is awesome! I love Natalie who I see for varies services that the spa offers. She is a perfectionist and always makes sure her clients are satisfied. 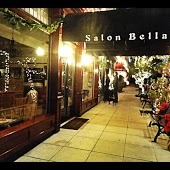 Kim (the owner) and all of her other staff at the spa are very sweet, friendly and professional! I have been coming to this spa since it opened when Kim was the only one performing the services and running the front desk! It has grown into a very nice day spa.